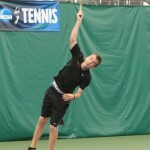 The Gustavus men’s tennis team is set to host the 2011 USTA/ITA Midwest Regional and Gustavus Midwest Open this weekend, Sept. 30-Oct. 2 on the campus of Gustavus Adolphus College in St. Peter, Minn. The Gustavus men's tennis team put forth a valiant effort against Trinity University in the second round of the NCAA Midwest Regional on Saturday, but it wasn't quite enough as the 11th ranked Tigers slipped past the Gusties 5-3 in front of a boisterous home crowd of nearly 300 at the Swanson Tennis Center. The Gustavus men's tennis team advanced to the second round of the NCAA Regional with a 5-0 win over Concordia University of Mequon, Wisconsin on a cold and blustery Friday afternoon in St. Peter, Minn. 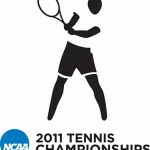 The Gusties will now face Trinity University of San Antonio, Texas on Saturday afternoon at 2:30 pm. 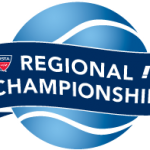 Gustavus Adolphus College has been selected to host one of the eight NCAA Regional Tournaments for men’s tennis at the Brown Outdoor Tennis Complex in St. Peter this Friday, May 13 through Sunday, May 15. 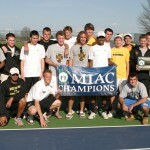 The Gustavus men's tennis team earned an automatic berth to the NCAA Championship by winning the 2011 MIAC Playoff Title with impressive wins over St. Olaf, 6-0 in the semifinals, and Carleton 7-2 in the championship match on Saturday in St. Peter. The Gusties will find out on Monday who and where they will play in the first round of the NCAA Tournament, which will take place on May 13-15. 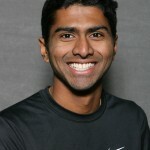 The Gustavus men's tennis closed out its 2011 regular season with a convincing 9-0 win at Macalester on Saturday evening and another impressive 8-1 win at Luther on Sunday evening. The win over the Scots clinched the outright MIAC regular season title for the Gusties, their 26th consecutive title, while the win over Luther gave the team an important regional win over the Norse. 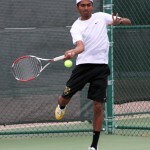 The Gustavus men's tennis team, which was rated #6 in the most recent ITA Central Region poll, lost to Kalamazoo College, which was rated #9 in the region by the score of 5-4 in Milwaukee on Sunday afternoon. 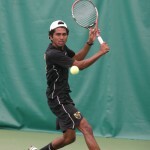 The Gustavus men's tennis team picked up its second win of the weekend with a 9-0 sweep of the University of Wisconsin-Eau Claire on Sunday morning in St. Peter. The Gusties won every set of the day but one, which came in the hotly contested #1 singles matchup between Amrik Donkena and Chris Kuna.